The authority of the church is for some a touchy issue. The reformation of Luther’s day took place in response to the Catholic church’s control over Christianity. The five ‘solas’ (only or alone) were given in response to papal authority: by Scripture alone, by faith alone, by grace alone, through Christ alone, for the Glory of God alone. As a result, many Christians have neglected the other roles of authority in the life of a believer and it is important to note the authority of the church. When Jesus named the church in Matthew 16 he also states that authority is given to this new institution. Understand this, that God has always placed authorities in His dealings with mankind throughout every dispensation. There were patriarchs, prophets, judges, and kings. In each way, God worked distinctively with humanity through different means. The error of the Catholic church was that they assumed a continuation of singular authorities such as patriarchs, prophets, judges, kings, and now apostles. They looked at Matthew 16 as Jesus giving authority to Peter. They therefore set up there papacy as following after Peter touting that he was the first pope and each pope subsequently carried the same authority. The problem with this argument is that they don’t take into consideration Matthew 18 which says the exact same thing, but it not talking about Peter but church discipline. It seems very clear that when you include the second passage that the more accurate teaching is the authority rests not in a single person, but in the collective body. Many errors in theology and doctrine have been a result of verses being taken out of context or simply an inconsistency with the rest of Scripture. So as not to perpetuate bad exegesis (critical analysis) it is important to see if this model is consistent both theologically and practically. I have already stated before that there are several authorities that a believer must answer to. This is not to discredit the aspect of ‘Sola Scritura’ (by Scripture alone) but to build onto it two other authorities that are consistent with God’s Word: the Holy Spirit and the Church. Throughout each dispensation God has communicated with His creation. God walked in the garden with Adam and Eve, God spoke to Moses through the burning bush, and Israel understood that the presence of God rested at His temple right inside the Holy of Hollies. At the beginning of the Church age God represented Himself over the heads of the Apostles as flames of fire on the day of Pentecost and every day since as the indwelling Comforter in the hearts of all believers. Since then, the Holy Spirit has remained a personal authority in the life of all Christians. Discerning the Spirit is always in accordance with the Word of God, but it is still a unique authority. So why is it necessary to talk about the role of the Holy Spirit when discussing the authority of the church? Because this is the foundation the church is built upon. If every member of the church is accountable to the Scriptures, they have common ground. If every member is blessed with the same measure of the Holy Spirit, they are all equals. Therefore, the church is given authority to function in accordance with the Will of God because it is filled with the unifying Spirit and built upon the teaching of Scripture. But does this work out practically? Reading through the book of Acts is the clearest evidence that the Church is authoritative. People that suggest the biblical forms and practices are impractical are saying that the Bible is not authoritative because the Bible clearly places authority with Churches. God’s ways may not seem to make sense all of the time, which is why Church discipline is rarely practiced correctly, but that does not mean it isn’t the best way. God’s ways are always higher than our ways. Though we may not understand them, by practicing them we will find that they are good. By submitting to a church you are committing your life to a group of people with flaws and abrasions, but the beauty of the Body of Christ is that we cannot function without each other. It’s not too much of a stretch to point out that we have the written Word of God, the ministry of the Holy Spirit, and the expression of the Body of Christ as authorities in our life. That is the work of the trinity. If we are going to have an ecclesiastical reformation, we need to come back to a proper understanding of the role of the church in our lives. If we are not submitted to a Church, we are basically functioning as free agents in the world, outside of God’s blessing and will. This just reinforces how necessary it is to build and cultivate a healthy Church. Gallery | This entry was posted in Theology and tagged Bible, church, Holy Spirit. Bookmark the permalink. I’m confused on your understanding of authority above. Authority is always over something. If I’m understanding you correctly, you’re stating that Christians are both equal (no authority) with each other but under the authority of the Church. You’ll need to dig in to why this isn’t inconsistent. From my point of view, groups don’t really exist. Just multiple individuals. The whole idea of “corporate” as something special from individual is absurd. Rather, the relationship between individuals is what would contain any authority. Hence the stern talk about maintaining unity in Scripture. If Christians being equal in authority with each other (no authority over each other but over all other creation as God’s servants), a pastor commanding a congregation isn’t something I see as Biblical. But a pastor settling disputes (maintaining relationship) is. Why? Because authority is essentially involuntary, but the model for relationship in Scripture is voluntary. The only exception I can find to this rule is the relationship between parents and children. But even there we’re talking muddy waters. Thanks Nate for adding to the discussion. I’m definitely willing to explore your points a little more fully. I think I could have given my argument for authority a little more thorough explanation, but I stand by what I’ve said. Authority is not always a ruling of power. In this case, authority is two-fold. The church has authority to exercise church discipline – Power, and the church is commissioned to do Christ’s work – Position. Defining authority as always being over something is insufficient. The institution of the church is clear in Scripture. Theologically it is consistent with other doctrines. Practically it is consistent with how it is played out in Acts and the Epistles. Authority requires submission. Submission is consistent with Scripture: Wives to Husbands, Children to Parents, Slaves to Masters. Submission is not wrong. When it comes to submitting to the Church it is a matter of accepting the shared responsibility to be submissive to God and submissive to each other, recognizing that no individual has all of the necessities of being the complete body of Christ (Romans 12). When I was ordained, I was certified by the Church. No school, individual, or council has that authority. I’m not advocating a ruling pastor, or a ruling group of elders (which I believe to be pastors). Though, pastors have a ‘position’ of reverence, they do not exercise ‘power’. There is another aspect of authority. Speaking with authority means having a definitive basis to fall back on. While you have sighted your views and how you think philosophically, it’s important to base all of this on a clear foundation. I believe I have done that in this article. However, I could have been more thorough. But time doesn’t always allow. I’m going to address this more fully on Thursday and Saturday when I deal with the four Pillars of the church and church distinctives. Perhaps I’m not clear on your position, but if you’d like to clarify anything I’m willing to continue to discussion. I’d top it off to the ambiguous nature of the English language. I got into arguments all the time with my 3rd grade English teacher because I wouldn’t stand for multiple meanings of words. Hopefully I’ve matured a little nearly two decades later. First off, metaphysically and as simple as possible, things don’t exist unless they interact with other things. So when we discuss a thing, we must address how a thing exists in order to define it. Secondly, I think there needs to be a defense for why we’re even discussing Authority. Why have it at all? What’s the purpose? After determining what it is, we must address why it’s important…otherwise we’re wasting our time. Authority is not so much a thing in itself as it is a means of describing a kind of relationship an entity has with another. At a semantic level, you’ve stated it as both a Power (in relation to…believers? Satan? Mountains?) and a Position (a word I’d translate as Job Description from the context.) But you use either definition interchangeably and ambiguously. From a discussion standpoint, it’s too much to talk about more than one thing at a time. As a Power, and specifically, as a Power over individuals, this is what gets unclear. Why does the Church need Power. What purpose does Power play for the Church? For one, we know that God has an Enemy. To stay within the scope of discussion, the Enemy seeks to move the Church from it’s Position. So when Scripture tells us that the Church has Power, it is telling us the Church has access to a Force to prevent the Enemy from changing our Position. Additionally, this is a Force greater than any the Enemy can muster. As a Position, I think you and I are in agreement, but I want to dig deeper into it. We know that, as individuals who have all been kids, we don’t automatically know how to behave. We’re ignorant or disconnected. As such, we could say that the Church’s Position is as a Source of Truth. A few theologians have used the phrase “Truth-Bearer”. I kind of like it. I do not mean an Author of Truth, but someone who receives and gives. So when it comes to the Institution of the Church, neither of these perspectives allow for the Church to enforce right behavior. When you talk of exercising Church discipline, that sets off all sorts of red flags. The Church can only defend itself (expel the Enemy) and give what God has given it. No other Authority rests in the Church. As a matter of submission, when the Church is exercising its Authority as a Truth-Bearer, I am to listen for Truth because God has said that He uses His Church to speak Truth. The Church, though, has no Authority to direct the institutions of Family, Business, and Government. It may inform these entities of the Truth, and act Charitably toward them, but it has no Authority over them. I think of it like a Secretary who has no Authority except to deliver a message from Someone who does. Family has the Authority to train Generations, Business to direct Resources, and Governments to act as God’s Hand of Justice. All this though is parenthetical to our time on earth. After, our time on earth, we’re talking about receiving greater Authority as promised. If it helps any, I’m studying on an amateur basis the writings of Cornelius Van Til & R. J. Rushdoony at the moment. The whole Theonomy movement has piqued my interest as something I might be in alignment with. In terms of your model, the compendium of human action does not rest solely on the Church, but instead on Biblical Authority and the Holy Spirit. Therefore the Body of Christ is not limited solely to the Institution of the Church, but must take part and head callings in the other Institutions as well. I can agree with this statement. 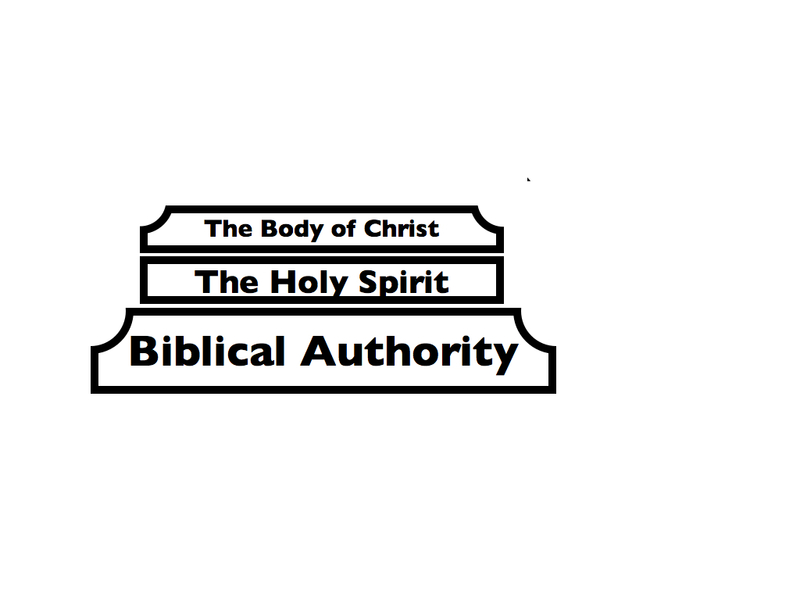 The basis for Christian authority is the Word of God in Scripture. But God also uses the Holy Spirit and Conscience. Paul clearly teaches how this is an authority in the Christians life because even if it is misinformed, Christians are not to go against that authority. In Matthew 16 and 18 it is pretty clear that Jesus is giving power to the church to exercise discipline. It’s not being given to individuals. It’s not just any three people that get together and agree. It’s the church. The Catholic church took this to the extreme and started to exercise power that was unfounded on the Word of God. Luther and many of the reformers didn’t go far enough away from that model. But our current culture has taken it too far to neglect the role of authority that God has placed with the Church. The church is a unique institution. So is the Spirit. They’re not always right, but they are authoritative. This is where the practice of church membership comes from. It’s submitting to the authority of the church. 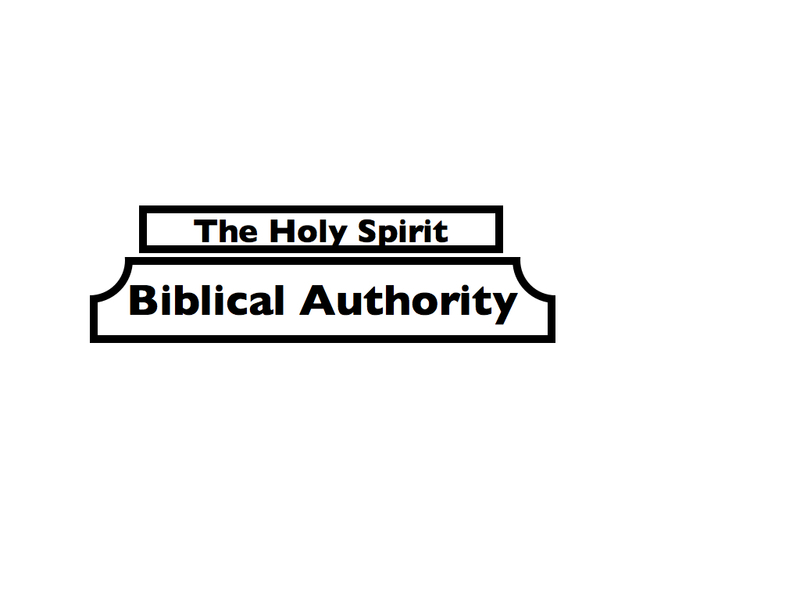 But that authority is founded on the absolute authority of Scripture.